This argument is both tired and dumb. The League of Legends subreddit is at it again. This time, the target is a familiar topic: Smurfing. The top post on the main page, with over 5,700 upvotes at the time of writing, was a thread calling for Riot to fix smurfing by allowing players to buy level 30 accounts. This topic has been brought up again and again, and yet it still receives coverage and sparks outrage. The problem that many people still don’t get is that selling level 30 accounts creates a whole host of other issues that could quite possibly make the game worse. Selling level 30 accounts is such an easy fix that Riot likely has very good reasons not to implement it. And it’s not hard to understand why. Here are all the reasons why Riot shouldn’t sell fully-leveled accounts. We get it. Leveling to 30 is a grind. Assuming a 50-percent winrate and that a player gets 10 “First Win of the Day” experience bonuses (400 XP each), it would take around 180 games each lasting 15 minutes to get to 30. And that’s assuming players buy per-win boosts, which grant 210 experience with each victory. But wait. There are a lot of game modes where a player’s win percentage is greater than 50 percent. Experience from games vs. bots falls off as a player levels, but raising the winrate from 50 percent to 70 knocks off over 50 games. That still sounds like a lot, but it’s under 40 hours of time invested, including lobby wait times. Check your Steam library—you probably have a lot of games with more than that amount of time played. The total cost for the boosts is around $50. And it’s not like you have to beat your head against Summoner’s Rift for all of those games either. Riot has made a big push in the last few months to work on other game modes, including Nexus Blitz and ARURF. Those are fun, fast-paced alternatives to leveling accounts. And there are always the old standbys, ARAM and Twisted Treeline. 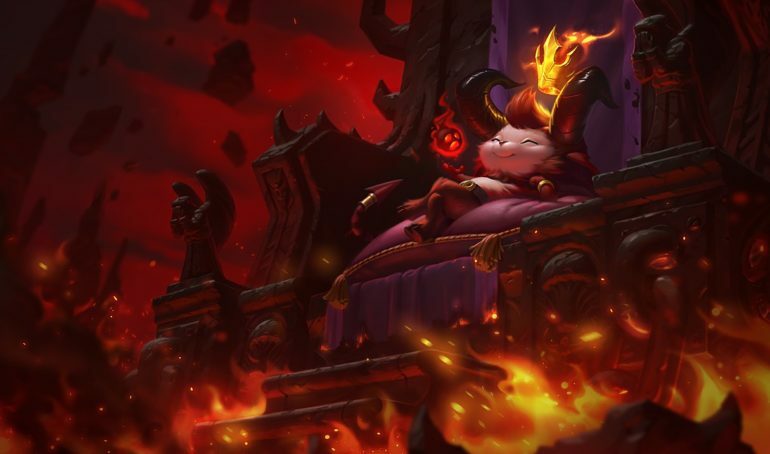 The point is, for its long-term survival, Riot needs people to play the game—and the leveling system forces players to do that. And if the experience of leveling by playing League of Legends games isn’t good, the solution really is to make the actual game experience matter. One common complaint about the leveling process, especially for truly new players, is that they get flamed in chat. More experienced players on smurfs criticize them for truly not knowing what to do. But you know what? There’s a really simple command that removes all of that chat. Just type “/mute all” and all your problems are solved. Seriously, though, Riot could actually do a lot to make the new player experience better, something we’ve harped on for years: A better tutorial, more interactive bot games, and some guidance on which game modes to try would all help new players. Even just making sure new players know about the mute function could make the actual game better. And Riot should also give experienced players options to skip all of that for new accounts. And about those experienced players—a lot of people complain about their games being ruined by high-MMR players on smurfs who dominate. Riot has algorithms to combat this, but it’s far from perfect. But we have a feeling that a lot of the people complaining are other players leveling their smurfs. And if that’s the case, guess what: Riot’s system is actually working just fine. One area where this gets tricky is if an experienced player is duoing with a newer friend. There’s not a real clean solution to this, though over a large sample, matchmaking should work out to where the duo’s winrate is near even. Do players really want bad matchmaking in ranked? The final danger to allow players to buy level 30 accounts that can jump immediately into ranked play is that the issues with leveling, the smurfs, the flame, the bad matchmaking—all of it would just go onto the ranked ladder. And that’s a much worse outcome than the current system that gives Riot 30 levels of data on players to set their MMR. Is it worth screwing up the bottom of the ranked ladder to improve the leveling process? We don’t think so. Every part of League other than ranked is available to players before level 30. Players should enjoy that process and have fun rather than fixate on getting to level 30 so they can place in Iron 4. There are good solutions posed in the Reddit thread. One of the best is to allow level 30 players with a certain honor level to purchase other level 30 accounts linked to the same profile. Easy solutions could be put in to make sure players aren’t account sharing. That would allow them to try different champions or roles without affecting their main MMR. Wait a second, that sounds awfully familiar. A system where players could have different MMRs for different roles? Where have we seen this before? Oh yeah, positional ranks. Before you get out the pitchforks, we fully recognize that the positional ranking system introduced in season nine was poorly implemented. There were a lot of issues, especially with experience splashing, and the fact that it made the ranked grind feel like even more of a grind. But it’s interesting that players in North America and Korea overwhelmingly rejected this system to the extent that Riot was forced to remove it. Riot absolutely could have tweaked the system to make it work better. But the player sentiment was so bad that it decided just to nix the initiative altogether—at least for the foreseeable future. The point is, next time Riot rolls out something like this, two things need to happen: It needs to release a better product and the community needs to give it a chance before killing it off just months later.